With Easter right around the corner, we're featuring some fun and vibrant weddings that match the springtime spirit! Chelsea and Ryan were married in Cape Girardeau, Missouri. 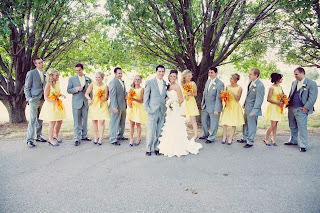 The bridesmaids wore Alfred Sung Style D440 in Daffodil. 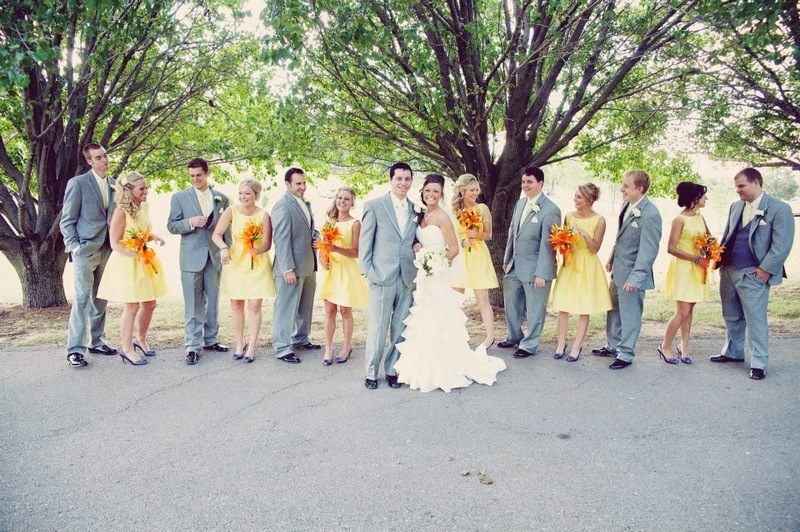 The bridal party really pops against the gorgeous tree-lined backdrop! 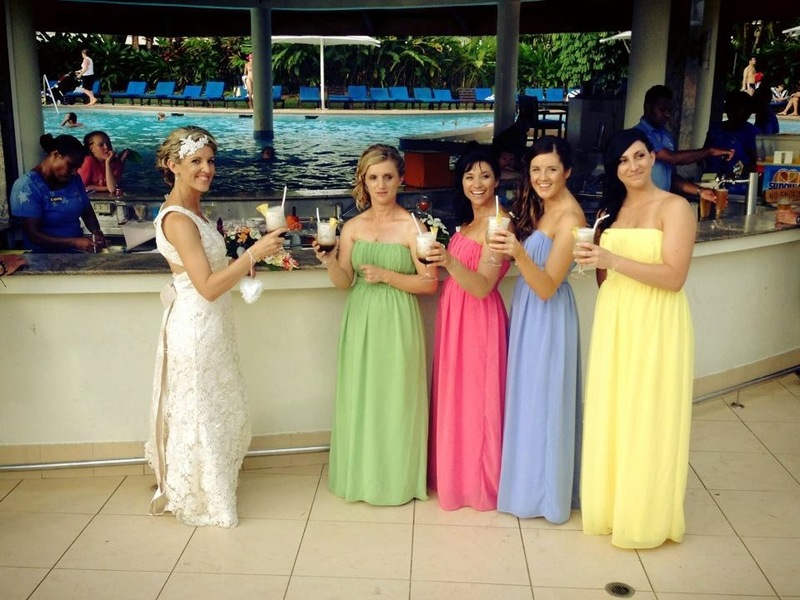 Bride Samantha went multi-color in a tropical location with After Six Style 6556 in Punch, Sunflower, Apple Slice and Periwinkle. 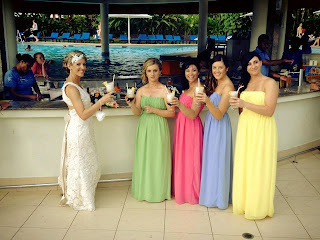 Thanks for our beautiful bridesmaid dresses, the colors were amazing!! And bride Jennifer pulls the opposite switch with different colored bouquets. 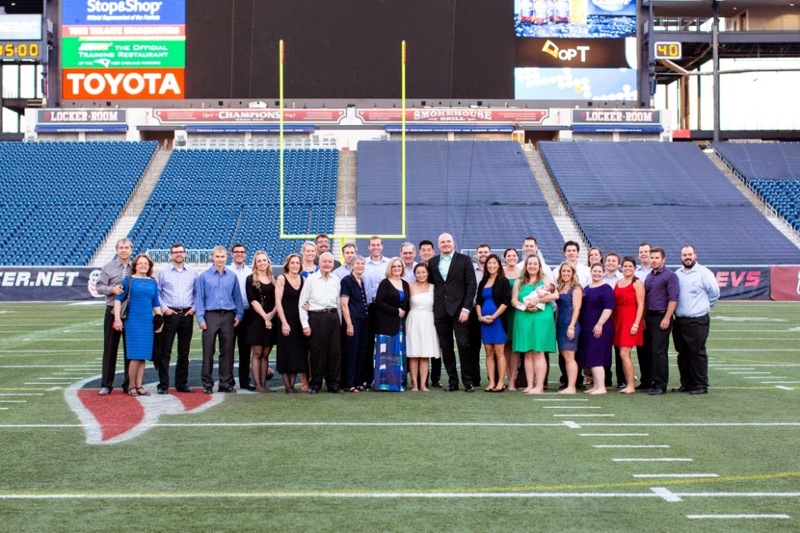 She and Marek were married in Foxborough, MA at Renaissance Patriot Place. 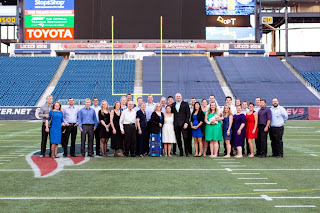 For you football fans out there, the rehearsal dinner evening did include a walk onto Gillette Stadium field! 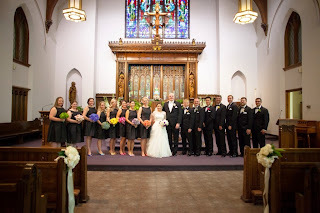 Although it was hard to pick a favorite moment, Jenn especially loved the ceremony, which was a traditional mass in the same church her parents were married in. 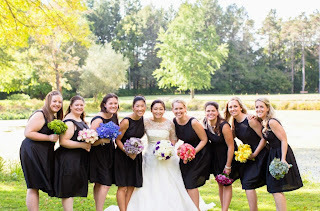 Jenn loved the way the bridesmaids’ looks came together, wearing black dresses but with different color shoes that corresponded to their bouquet and the groomsman's boutonniere. The girls wore Alfred Sung Style D448. I loved working with Joielle! 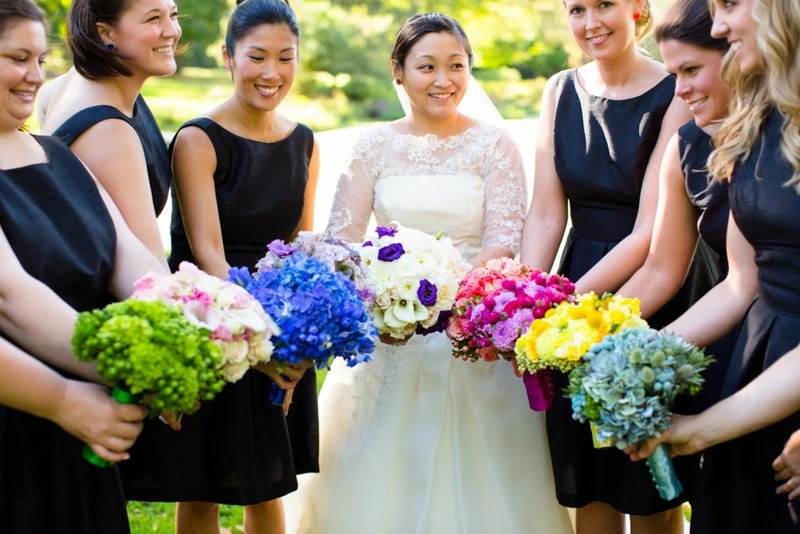 My cousin had used Joielle for her wedding and recommended them to me as being affordable and with great customer service – and they did not disappoint! 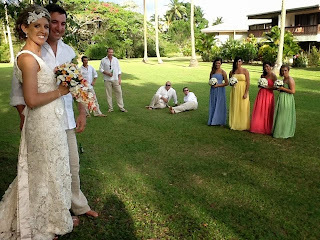 I loved the selection of dresses and liked the fact that prices were listed right on the site. I had something pretty specific in mind, so it was nice to have all the information up front. Joielle was also really helpful once the orders had been placed, as we had to add two more girls later and get rush orders in. We did not stress about the dresses at all even though one girl was added to the party about two months before the wedding! I cannot thank you enough for all your help and your outstanding customer service. My party looked amazing! 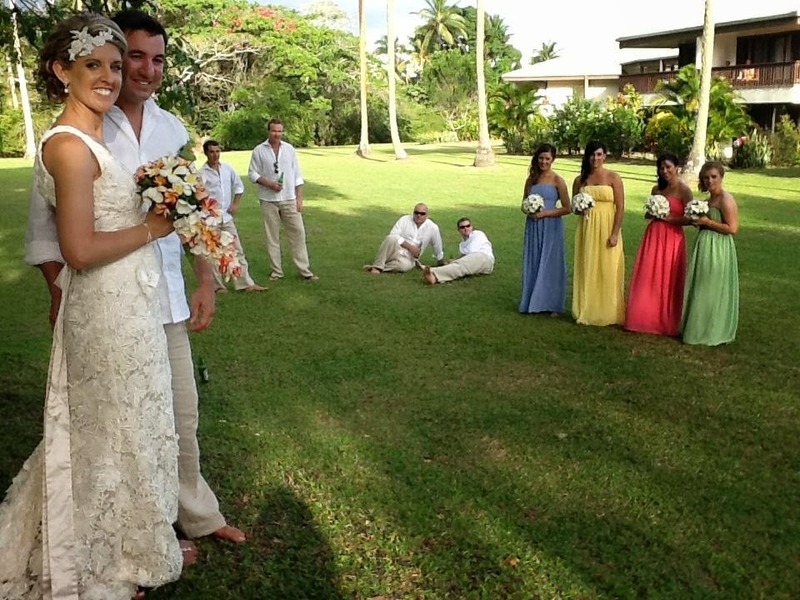 Thanks to all of our brides for sharing your beautiful photos. 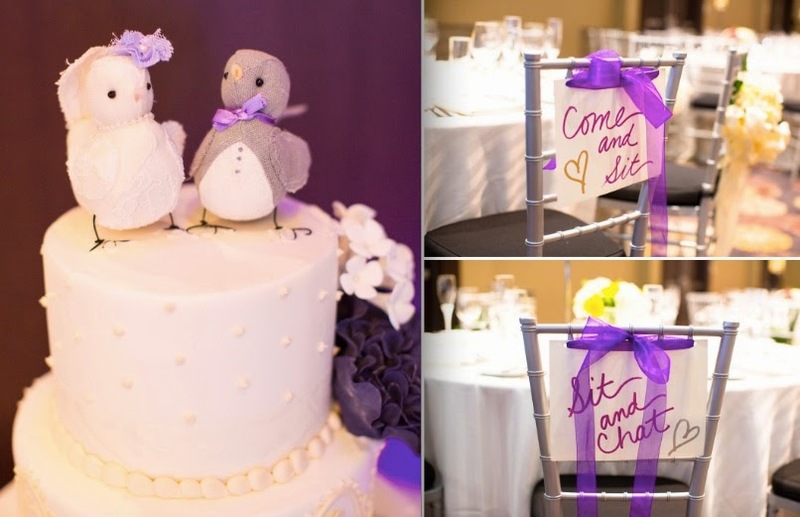 We wish you continued brightness and joy in your marriages!